Highfields, Inc. began in 1962 as a residential camp for troubled boys in Ingham County. Our founders truly believed that with the right opportunities and resources, people can change their lives for the better. Since then, we have taken our organization to new levels. We are now a multi-purpose human services organization which gives about 7,000 people every year the resources they need to turn their lives around. 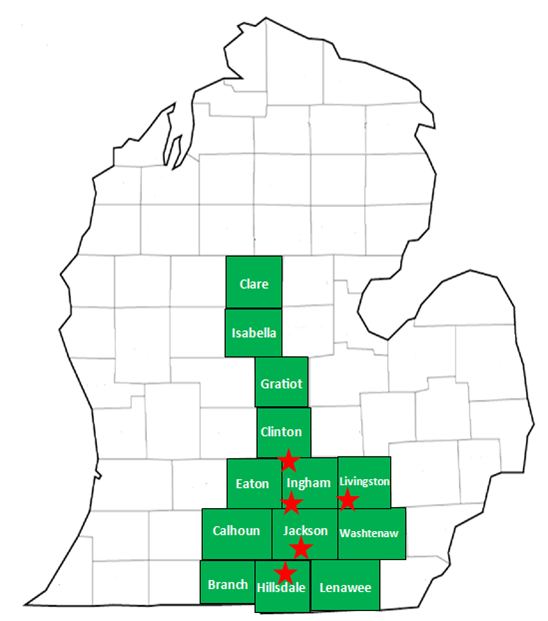 We operate out of five offices to serve 13 counties. Our organization has three branches: residential treatment, in-home counseling programs, and educational services. To provide opportunities to children, youth and families to become more responsible for their own lives and to strengthen their relationships with others. Our Vision: To create bright futures for children, their families and communities. Community Services operate out of four satellite offices to provide 13 different programs. These programs incorporate evidence-based practices to keep families happy, healthy and safe, with an emphasis on preventing out-of-home placement and need for hospitalization for children. Educational Services are composed of four programs. Our experiential education program Breakthrough is designed to build leadership, communication and teamwork for groups of all types. Our after school program Reaching Higher creates a learning environment for elementary and middle school students which helps reinforce academics they learn during the day and builds social skills. Finally, our alternative high school Ingham Academy gives students a second chance at an education. Following the school day at Ingham Academy, Evening Reporting or the PRIDE program helps students learn life and social skills. Each of these programs encourage students and participants to become more knowledgeable and confident in their own skills and abilities. Residential Treatment provides two programs: Phoenix and Stabilization. They are both designed to help boys ages 11-17 change their behaviors and thought processes. At Highfields, residents learn independent living skills and begin to take responsibility for their own lives.